Do you still follow old makeup routines? There is so much advice given to skin and beauty that comes our way, but not all is true. SO it’s time to ditch the bad beauty advice that has been keeping you from reaching maximum potential or gorgeousness. With times changing there are new and exciting ways in which you can transform your look. The beauty timeline has evolved so much in the past years that were still continuing old tricks could be sabotaging your desire for beautiful skin. The truth is that our skin, hair, and body requires fundamental and sustained assistance to stay healthy and look great on its own. So here are some of the significant beauty myths out there that we have grown up believing them but are completely untrue. Yes, it’s true that drinking water is good for you, it clears out harmful toxins and regulates the amount of oil production. Even though it makes the skin radiant, it barely does anything to hydrate your skin. Your skin is moisturized thanks to its natural oils, not water. The skin can only be hydrated through the natural oil production in the skin or even by applying moisturizers and lotions that suit particular skin types. That, in turn, indicates and maintains the body’s overall health and hydration. Shaving can in no way affect the quality or even the quantity of the hair growing back. Because when we shave, the hair is cut off at its widest portion and not the roots, hence it does not affect the root whatsoever. Each strand of hair is thickest at its base and finest towards the very end. Therefore when it is trimmed at the base, it looks as though it is thicker or coarser. But that’s because shaved hair is blunt and not tapered. And that’s why – the illusion! Now before you go about putting toothpaste on your pimples, hold on. It may help to dry out the zit that is growing on your face, but it contains chemicals like hydrogen peroxide and alcohol and baking soda. These can potentially irritate along with redness and peeling of skin. So unless you want more problems apart from that zit, you better keep away from touching your face and disturbing that pimple, because toothpaste is not the treatment to be relied on. Irrespective of the weather, you shouldn’t skip your sun protection. The sun rises every day, so even if it is cloudy or cold outside, leaving your skin unprotected can harm it. Even when you apply SPF, look for a proper sunblock or sunscreen, because if you depend on your foundation with added SPF, it will not do much to protect from the sun. The sunscreen could also work as a great base to put your foundation and makeup over. I am sure you must’ve gotten a lot of this. 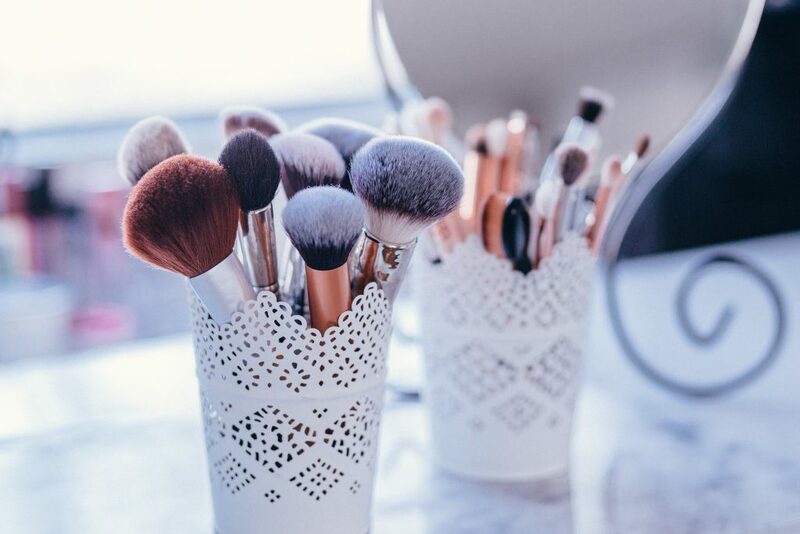 A classic myth that has carried on from older days is that beauty products are harmful to the skin as they contain chemicals. But products these days are made with mostly safe and tested products, and it does not cause as much harm to the skin. In a way, makeup can protect the skin from pollution and dust. A few high-end makeup products also provide legitimate skincare benefits. However, it is advised to wipe it off at night before going to bed. Another hair myth busted is that trimming can have any effect on how fast or dense hair grows back. Hair grows from the roots in your scalp and not around the ends. Regular trimming is good for the hair as it gets rid of split ends and prevents breakage, so keeps the hair healthy. But It it can’t determine when it will grow back and its pace, only your genetics can do that. But it can sure make your hair look more voluminous. Just because you have oily skin, that’s no excuse to stop using moisturizer. It is very crucial to moisturize your skin no matter what skin type. If you deprive your skin of moisture, then it can produce excess oil to keep it hydrated. So invest in an oil-free moisturizer if you must, but don’t forget to keep it soft and moisturized. Most people believe that you need to start using anti-aging products the moment you turn 25 and that you need to kick-start your anti-aging routine in your 20s before you get older. And that these skin care products promise to renew the skin and repair collagen. But the truth is that the skin is naturally elastic and healthy enough to fix itself even at that age. On the contrary, using too many products can irritate the skin. These are just a few of many myths about beauty. Your skin is beautiful and capable of taking care of itself. All it needs is for you to fix your lifestyle, by eating a healthy diet, and drinking water along with moisturizing and pampering your skin. Most of these myths are nonsensical, so before you go ahead to believe something, think about it logically and you will able to determine whether it is genuine or not. Reema is a spirited writer, who has expertise in various topics related to skincare, beauty, health, fitness, and lifestyle. 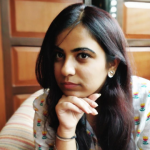 She finds writing to be an ideal platform to connect with readers. Her content is well researched, unique, and to the point. She is a regular contributor to www.StyleCraze.com, and her articles have been positively received and praised by many young women.